Come "glide" the island side. Experience the new fun, safe and environmentally friendly Segway, LucianStyle! Glide our scenic nature trail up beautiful Mount Pimard and enjoy breath taking views of St. Lucia's dramatic West Coast. First it's lessons and practice time on our "Segway Practice Track" and then it's a long gentle glide up our extensive groomed nature trail system while our informative guides talk about everything from the beautiful flowers and butterflies to the battles between the English and French for our fair Helen of the West. Provided for you: guide, drinking water, helmets, elbow and knee pads. Enjoy an exhilarating and scenic hike accompanied by our well-trained guides up to the breathtakingly beautiful summit of Mount Pimard - located in St. Lucia's Tourism capital of Rodney Bay. Heard of the Pitons, right? Well, this is the only other mountain hike on the island (apart from the Piton hike) which is surrounded by 180 degrees of water. Hike with the water at your back and the mountain at your feet as you learn about the interesting and captivating history of St. Lucia and the immediate area. Provided for you: guide, drinking water. 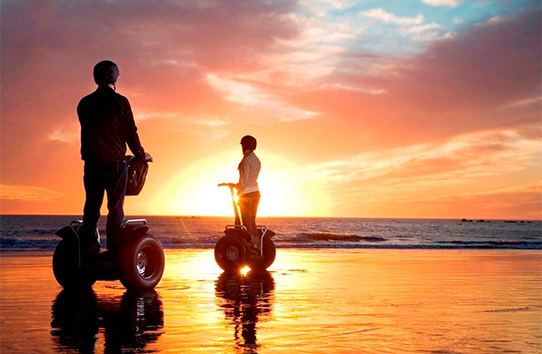 Segway into the Sunset adds a breathtaking twist to our Mt Pimard Segway Adventure tour. Combine the same fun and excitement of our nature trail, with the added beauty dinner on the beach as you savor the golden warmth of the setting Caribbean sun kissing your skin, leaving a memorable glow on your cheeks! Duration: 6½ to 7 Hrs. Welcome to St. Lucia! – Don't leave without participating in St. Lucia's #1 rated tour on TripAdvisor. LucianStyle Segway day tour!! This package has been crafted specially for YOU – our valued southern guests. Your experience begins with an 'island tour' to the north with stops at all of the most interesting viewpoints and locations along the way. 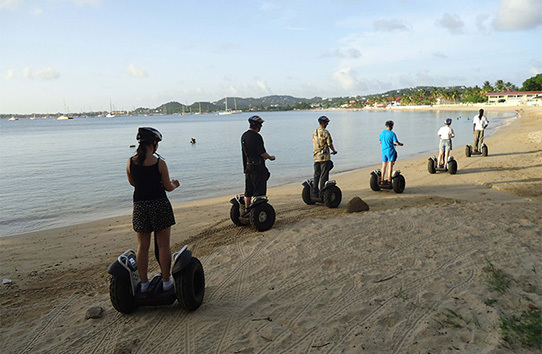 After your sightseeing tour is done, you begin to explore the historical wonders of Mount Pimard in the heart of Rodney Bay, all the while gliding effortlessly on your very own Segway X2 along our 1.7 mile Nature Trail. First it's lessons and practice time on our "Segway Practice Track" and then it's a long gentle glide up our extensive groomed nature trail system while our informative guides talk about everything from the beautiful flowers and butterflies to the battles between the English and French for our fair Helen of the West. 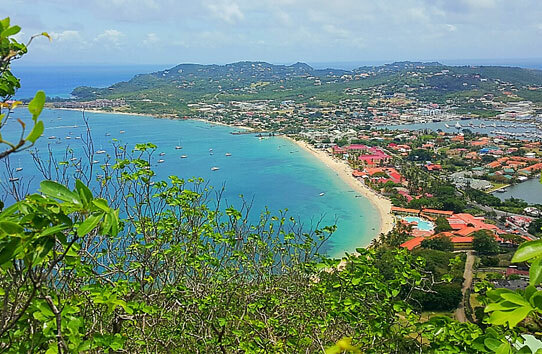 Learn the history at various stops, feed the fish at a naturally occurring pond, enjoy freshly picked tropical fruit and take in the vistas of Reduit Beach, Rodney Bay Marina, and Pigeon Island and beyond… Prefer to go shopping instead of Segway? Well, the nearby Baywalk Mall within 2 minutes walking distance gives you that option. Shop for 1½ hours and rejoin your group at the beach for the remainder of your tour. End your Segway tour at our Beach Hut where you can cool off in the beautiful crystal clear waters of Rodney Bay where a delicious local meal will be prepared for you and served up at your private table on the beach. After lunch, Segway back to the practice tracks to rejoin your waiting buses for a leisurely drive back to your hotel. Duration: 4 ½ to 5 Hrs. 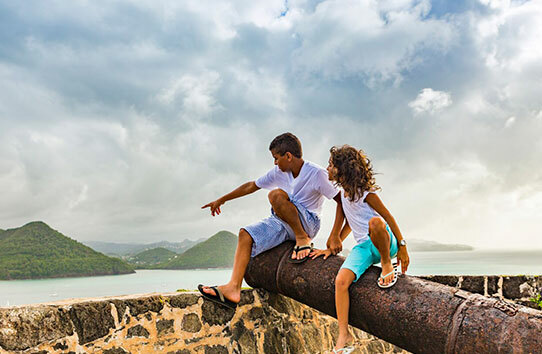 Arrgghh you ready for a fun filled time at one of St. Lucia's most famous national landmarks? Spend a day at 'Pigeon Island' where you will be greeted by our spirited resident pirate - who is alleged to have been abandoned back in the days of Jambe De Bois (the infamous pirate captain who, at one point in the annals of our colorful history had a most productive base on pigeon island)… Fortunately he has been able to diligently round up all his lost treasure and now you have the chance to take it from him by answering a set of questions to which you will find the answers by following our custom designed map and quest. A truly memorable activity which spans the most prominent sites to see on the island and if your wits are about you, the chance of winning the grand prize is high! A return trip to St. Lucia for two or the cash equivalent is up for grabs along with many other goodies! Whether you come for the fun, for the experience or purely to take the pirates treasure – an incredibly memorable time is to be had by all!! The day ends with a swim on the beach where refreshments will be provided. Get your party on! LucianStyle welcomes you to join us for a fun-filled night led by a team of the funniest guides on the planet! 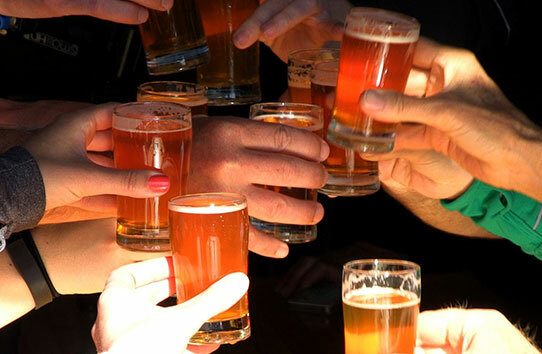 Allow us to show you a great time while taking in some of the best local 'vibes'. This barhopping experience will take you to four different party locations, each with their own unique atmosphere, music etc. Not enough to do at your hotel on an evening? Then come along with us for an evening to remember and a night-time experience to leave you feeling energized and exhilarated. Each group of guests is accompanied by their own personal 'party maker', 'bartender' and security guard to keep you partying, hydrated and safe at each of the amazing locations. An all-inclusive roster of drinks follows you around to each location, with premium drinks available for sale on site. Provided for you: transportation, guide, rum punch & lots of fun! Carry along: Your party spirit & Cash!! 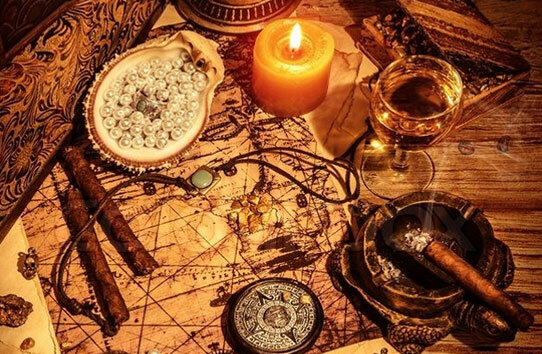 The media have been in a frenzy lately over the recent discovery of a long lost Pirate Dungeon hidden away on the paradise isle of St. Lucia! Rumour has it that this dungeon is haunted by the ghosts of many a pirate who has perished within its walls; however, a priceless treasure of immense value still lies hidden somewhere within the room! A series of ancient pirate scrolls was found in the room and has been deciphered. The puzzles contained within these scrolls have been recreated in the hope that someone will one day be able to take home the ultimate prize! Here's the deal. You are locked in a room. Words, numbers and images are scrawled on the walls, objects scattered. A disembodied VOICE announces that you have 60 minutes to escape. A frenzy sets in as you ransack the room, searching, thinking, surmising, hunting for clues leading to the final key which will open the door that has just got locked behind you. Before you know it, THE VOICE blares: "10 minutes down... 50 to go!" You're engrossed. The atmosphere has engulfed you. Your heart races. "Gotta get that key!" Part adventure game, part theatre, part bonding exercise, ESCAPE ROOMS have taken off around the world. And the growth has been explosive. The number of permanent rooms worldwide has gone from zero at the dawn of 2010 to at least 2,800 today, according to MarketWatch calculations. Don't miss out! Let the Mystery BEGIN! – See you SOON! Provided for you: clues, clues and more clues! Carry along: Your "Sherlock Holmes" spirit & Cash! !